This content is © shitlyrics | All rights reserved. There is nothing to say. This rarity comes from a pub in Leipzig and describes our philosophy. This is our number one saying of the month! If we could give 6 stars, we would do it. 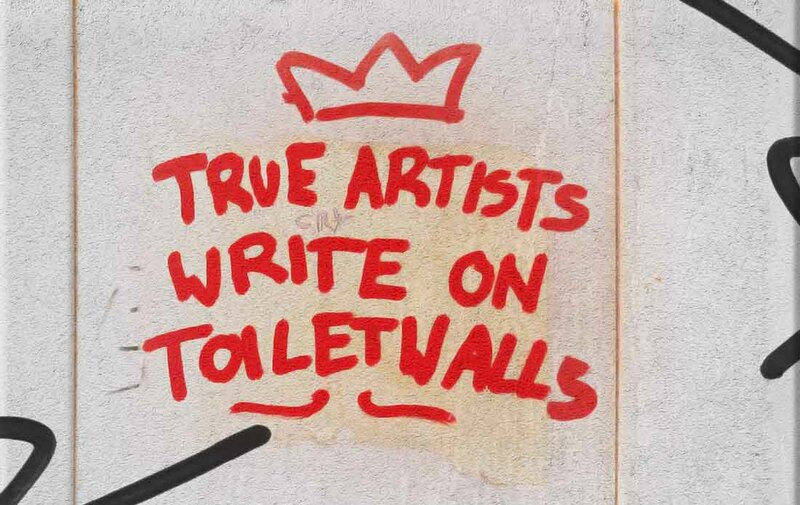 TRUE ARTISTS WRITE ON TOILET WALLS. They have always done this and they will continue to do so. ___________________ Diese Website nutzt Google Analytics. Möchtest du nicht weiter getrackt werden Click here to opt-out.